Self-published authors will never have the same access to resources and level of exposure as traditional publishing houses. If you're going to publish on your own, you have no choice but to do most of the promoting yourself or hire an experienced virtual marketing assistant. Promoting your self-published book or e-Book takes a lot of hard work and patience. But if there's anything that can make things easier, it's social media. 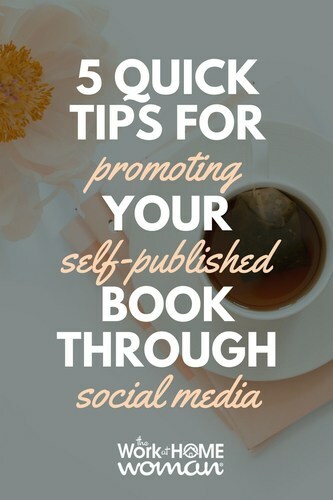 Featured below are five quick self-promotion tips for the independent author. 1. Connect with other authors. No self-published author can ever stand on his or her own. It doesn't matter how good your book is, if you don't make friends, nobody is ever going to hear about it. Connecting with other authors is just as important as connecting with your fans. Other authors want to be recognized just as much as you. This means, that they're very much willing to promote your book if it means that one day you'll return the favor. Social media is a gathering place for authors and aspiring authors everywhere. Join a writing community on Facebook. Build a network. You'd be surprised how many new things you can learn from your fellow authors. A writing community exposes you to more audiences and better avenues for self-promotion. Author Marketing Club is also an invaluable resource. 2. Occasionally offer free downloads. Giving away promotional material is an old trick of the writing trade. Social media gives you the audience you need to successfully launch a big promo for your book. Offer your followers the opportunity to download your entire book for free — for a limited time, of course. Don't just offer half of the book. Authors sometimes only offer the first few chapters for free to entice users to purchase the rest of the book. Consider giving away an entire book if you can. If your readers like what they see, they'll most likely share your book with their friends, essentially allowing you to reach more people. Amazon Kindle Direct Publishing even has a program that allows authors to earn from their books that are shared on the Kindle platform. If you've already published more than one book, consider making one of your books free forever. Make sure it's one of your better but older books. This free book can then act as a gateway for readers to gauge your skill, essentially acting as another avenue you can use to promote your writing. 3. Pay for advertising, but don't do it too often. Most social media sites offer users the option to “promote” their posts. Promoting your post translates to better exposure, allowing users who haven't liked or followed your page to see your content. If you're promoting your book, paid advertising is an important tool for getting word of your work out there. Remember not to overdo things. It's more important to keep your social media profiles active. Post content on your page consistently to keep things going. It's never necessary to promote every post you make. Doing so just might cost you too much. Your regular, non-promoted posts are still going to be seen by your fans and followers. If you play your cards right, your followers should be sharing and liking your posts all on their own, helping you reach more people without costing you an extra penny. 4. Participate in writing trends. Writing trends like the National Novel Writing Month are a great opportunity to promote your book. Big events like these usually set social media sites abuzz with activity. Join the trend and promote your content in the context of these events. Find a way to relate whatever big thing is happening in the writing world with the book you just produced. 5. Don't just talk about your book. Promoting yourself on social media doesn't just mean spamming people's news feeds with promos and giveaways. Social media provides authors with tools that they can use to connect with their fans. If all you do on social media is promote your book, people are never going to genuinely care about what you wrote. Avoid coming off as too spammy. You want people to care about you as an author just as much as you want them to care about your book. How are you marketing your self-published book? Drop us a note we'd love to hear from you! Angie Nelson has been an online business owner since 2007. 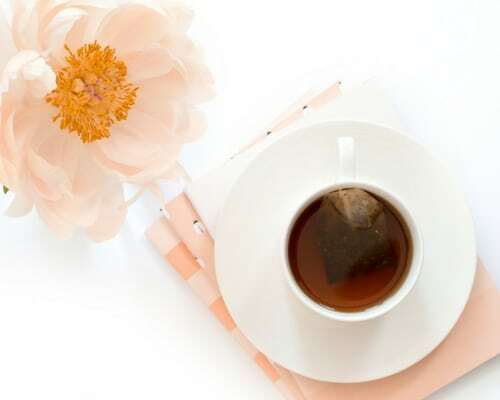 Today she balances several successful online ventures and still manages to share her passion for home business with others on her blogs The Work at Home Wife and The Best Direct Sales Companies. Thanks for writing this post! You’re a talented blogger. I am new a blogging and even more new at writing books/ebooks so I appreciate the tips you’ve shared here! It all makes perfect sense. I’m afraid I failed on my first ebook but learning from my mistakes. I have a better grasp on how to present and market my next one now! You’re welcome, Casey. I’ve written an e-book as well and it takes a lot of work to promote it and keep it up to date. Good luck on your journey and keep us posted.